Is My Pet is Overweight ? In my experience, it comes as a surprise to most pet owners when they are told their pet is overweight! This observation and diagnosis is based on weight gain ( adult animals ) compared to previous checkups and the physical examination. A full Veterinary exam is most important, as some diseases ( Hypothyroidism, Cushing’s Disease, etc) can cause weight gain. Can the ribs be felt easily ? Is there a waist? i.e. an indentation between where the ribs end and the hips begin ? Can the hips bones be felt easily ? Does your pet appear to be slow to get up and move around ? Is your pet reluctant to exercise ? Does your pet tire easily with exercise? 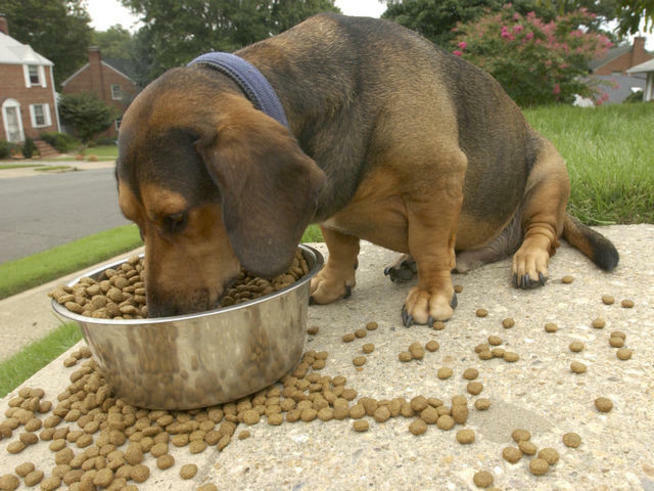 Pet owners would like a quick fix or special diet to return their pet (or themselves!) to their thinner self. As we all know, it is more complicated and not as easy as that. A lower calorie diet is only part of the equation with exercise being the other half. How much and how often ? What about treats and snacks? Generally we recommend feeding adult pets two meals a day. Less than that can cause gastrointestinal problems like vomiting bile and bloat especially in dogs that eat really fast. It is also important not to exercise your pet 30 minutes before and after eating. 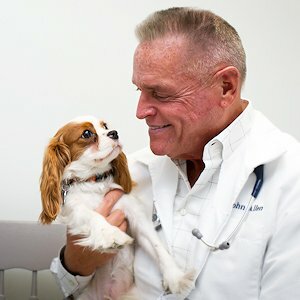 Each dog or cat is different and based on species, breed, lifestyle, age and health and medical concerns should have a unique and different weight loss program based on a veterinarians specific recommendations. 2014 could be the year for a slimmed down healthier pet!